If you have any questions or want to enquire about dates, use our form to contact François de Valbray or see their website for more information. Everything is ten minutes (or less) by car – walking, riding, sailing, beach lazing. And with your own shimmering pool (heated in the colder months) the stage is set for a relaxing holiday with family or friends. 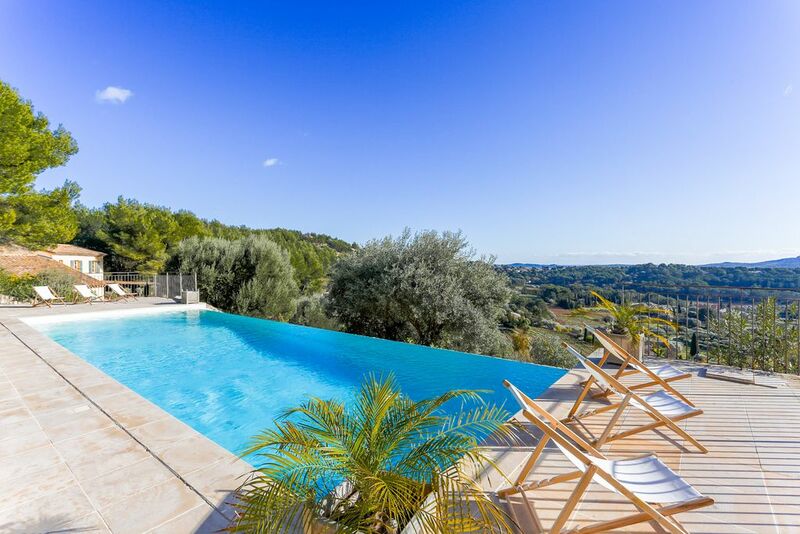 You’ll be met at the villa, a traditional new build, pale ochre with grey shutters, merging nicely into a hillside above Sanary sur Mer. Below are a mass of plastic domed greenhouses you pass on the steep winding road up; behind is a wood; beyond are blue hills and the distant sea. Big bright French windows open to a delightfully airy sitting/dining space: white textiles and walls, a tiled floor. Through an arch is the kitchen, smallish but well-equipped. Bathrooms are beige and tip-top, and every bedroom faces south. Two open to the patio (smartly furnished in wicker), three lie above, and the twin is in the basement, suitable for older kids. A child-proof wall surrounds smart terraced lawns. Minimum stay: 4 nights. 4 nights on weekdays. 4 nights at weekends. 7 nights in high season. Short breaks available. Pets by arrangement. €404-€950 per day. €13000 for a 14 nights stay in July and August. 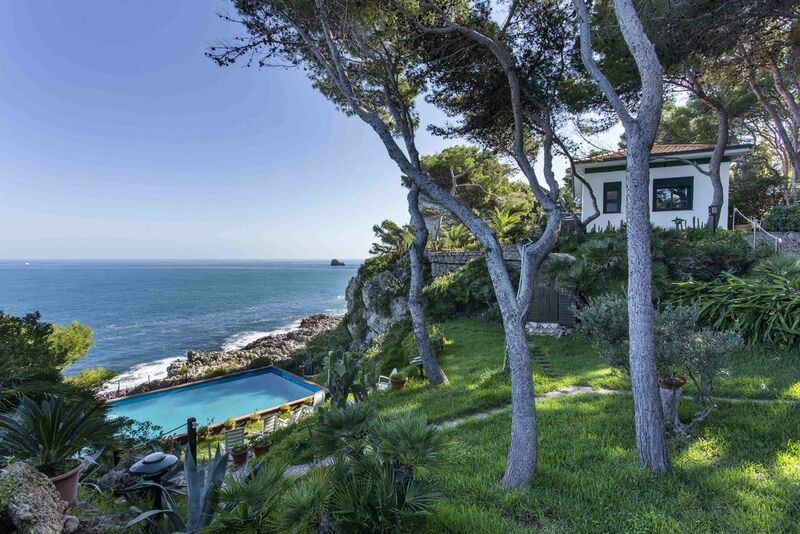 Have you visited Villa des Oliviers? Be the first to leave a review.